Canine breeds are presented in the order provided by the classification of the Fédération Cynologique Internationale (FCI), which is recognized worldwide. The division into ten groups is not a scientific classification, but is based on the international dog shows, where the absolute winner (Best in Show) must stand out of a confrontation with the other nine winners of their respective groups (Best of group). This incentive explains the lack of consistency with which the races were divided: indeed, then a previous classification was based only on the function of the dog (dogs, utility and defense, hunting, etc. ), the current classification is a mixture between morphology and function, not always easy to understand for those who are not particularly familiar with the official cynophilie. This group contains dogs that guide the herds, except dogs bouviers suisses and the Northern dogs. The dogs which did not guide but defend the cattle are on the other hand almost all grouped in Group 2, with regard to molosser type dogs. 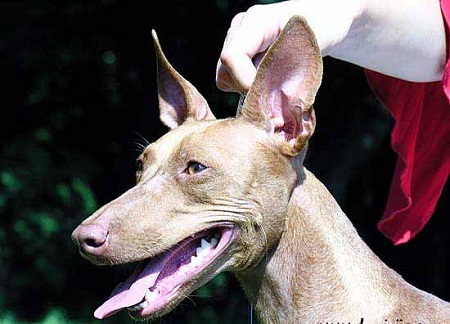 This grouping includes three types of morphology (Pinscher, Schnauzer and molossians), more the Swiss herdsmen who represent a particular section, since its inclusion in the Group of simple “herdsmen” was found to be too restrictive. Section 4 (other races) was created very recently and she was born to insert the great Japanese dog (ex: Akita, American-style), located in midway between the molosser type and the Spitz type. This grouping includes a specific typology of Burrows, i.e. dogs that were originally used to flush out and confront the game into its den. The races are however divided into sections following different criteria: indeed, the first two refer to size, while the third takes into account a particular morphological type (type bull Terrier) and the fourth (company Terrier) function. Here is a group that can lead to no ambiguity since it includes only a race. the German Dachshund in its multiple (at least nine) variants of size and hair. This grouping has a large number of sections because it brings together two typologies, Spitz and primitive dog, very represented and widespread in the world (with a certain difference of type from one region to another). Moreover, in the same morphological type, they share in different categories of use. This grouping consists of three sections, the first is itself divided into three sub-sections, depending on the size. Many current dogs are also used as dogs of research in blood, that is continuing and related game injured, while there are three races “do” for this, which have no current dog skills and are grouped in section 2. The “Related breeds” section contains two very difficult to place, races which the place is not yet final. The first is Dalmatian, perhaps the less “classifiable” race (to the point that it has already changed several times group), because it is morphologically a brachoide, whose past is probably that of a dog common, but which is now a pet dog; the second is the Rhodesian Ridgeback, which has a ridge on the back, but is not morphologically primitive type. This is the function that determines the classification in this group: are all hunting dogs who stop before the game. The sections refer to the geographical origin. This grouping of hunting dogs is also determined by the function of dogs, at the expense of the morphological classification. The division into sections speaks for itself. 11 – Molossians of small size it is the group that has the highest number of sections: the division is partly morphological, partly geographical, and in part due to the inability to classify certain breeds, which form so sections (Chihuahua and Kromfohrlander). It is however still small or very small size dogs, without employment or specific skills: this does not mean that it is “unnecessary” dogs, on the contrary! Are dogs very intelligent, able to learn and to perform difficult exercises (to the point that, in the past, they have been the most used circus dogs, some of them now as stars of TV or the big screen). And should not underestimate the “work” to love his master and make it happy! This group brings together all greyhounds. Initially dogs hunting sight, they are distinguished by their high speed in the race. The subdivision into sections is morphological and relative to the type of hair.